There has been a glut of blackberries over the fields, and there is still more coming. I've been freezing them ready to make indulgent comfort crumbles this winter. I find I'm becoming even more increasingly aware of the seasons, and doing as much as I can to lower my carbon footprint, and make the most out of what nature gives us. I don't know if this is an age thing, or the fact that with more time on my hands now (since my kids are at school) I've just slowed down to breathe. 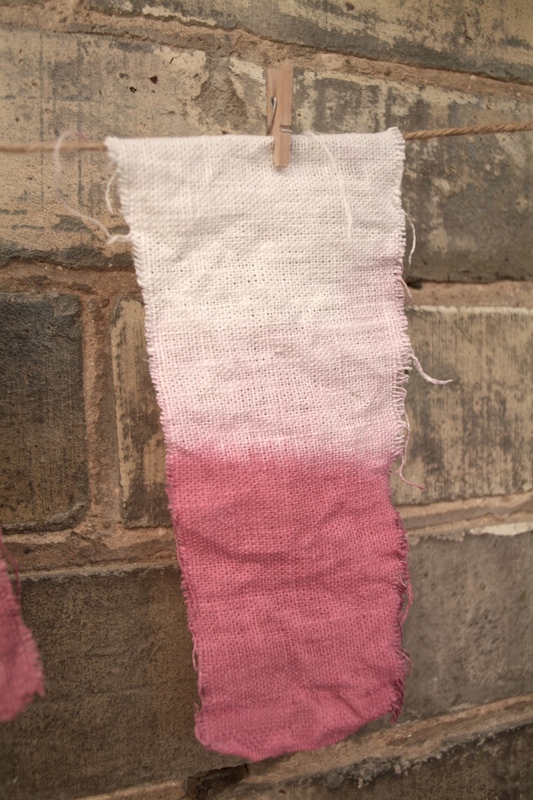 Anyway, I just love my textiles, and I'd been reading up on natural dye's, so I thought I'd have a go at dying some linen scraps I had left over with some of my glut of blackberries. Now I did a lot of winging it! lol and it turned out alright! I'm not saying it's the right way nor the easiest, but here is how I made my dye, and dyed my linen. In a pan I put two good handfuls of berries and covered over with water till they where just submerged, then I added 2 cups of table salt. I brought this up to the boil, then turned the heat right down and left for an hour. Every so often I mushed the mix with a potato masher. A layer of salt crystals formed on the top but it gets strained so I didn't worry too much. Turn off the heat and leave to cool, then strain into a jug. Now I used raw natural 100% linen, the only thing I did to it was put it under the tap for a minute so it was completely damp. I put it in half way as I just wanted to see what it did, and left it for an hour. I thought i'd sling some little tied ones in while I waited. Meanwhile i boiled up a salt water solution and let it cool, then after an hour, I took my fabric out of the dye and dunked it into my salt solution. I've never read about doing this but I thought it couldn't hurt. I'm so chuffed, I'm going to have a go at making something now, maybe I'll make a linen cushion and give it a nice ombre blackberry dye. If you are a curious creative or a craft lover, then please join our forum 'Creative Nest' at the top of the blog.